Join the Spectacle — Spectacle Inc.
As a Benefactor you can register in the Monolith™ Lottery to win a Patron Capsule. Your Lottery Certificate in a unique stainless steel plate engrave with your name and ID. Your name will be featured in the Spectacle Benefactor List. 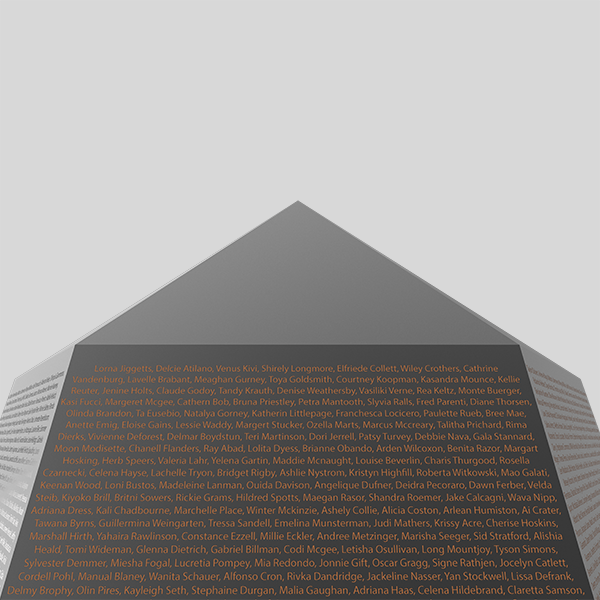 Nucleus™ will be engraved with the names of 23,000 Sponsors, who will also be featured on the Spectacle Sponsor List. By becoming part of the monumental legacy that Monolith™ represents your name will continue to resonate throughout the ages. Throughout history, uniquely powerful human beings have devised strategies and invested resources to ensure that their life and story are never forgotten. At its core, deep within Monolith™ resides Nucleus™, a steel vault containing precious cargo: 23 Patrons will each be endowed with a glass capsule, where their personal story will be engraved and strands of hair carrying their DNA will be stored in hermetically sealed ampules. The biological and cultural evidence of their human life will thus become the means for the designated patron to transcend normal human existence and attain immortality.